Make your mark with a fun promotional product that never goes out of style! 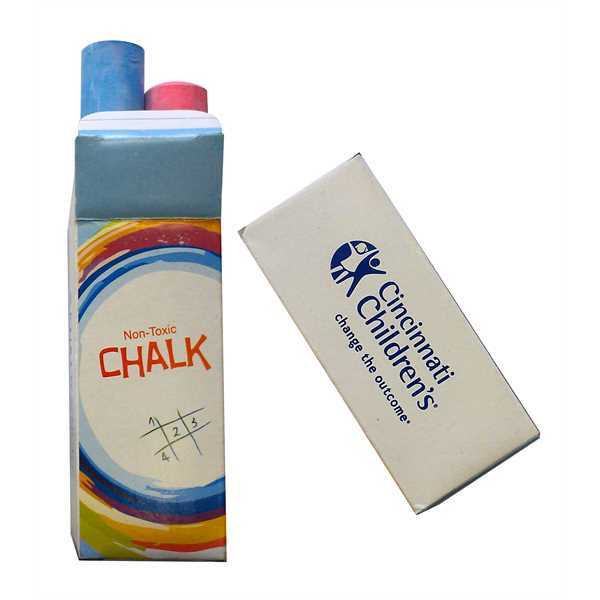 This two piece sidewalk chalk set features an imprinted pack with assorted colors and two pieces of chalk. Cheer up any driveway with a splash of color and artwork all while putting your brand in their hands and on the go the easy way. These are great for childcare centers or toy store promotions! Put your name out there with this fun chalk today! Size: 1 7/8 " x 4 1/8 "
Price Includes: per color. Color matches are not guaranteed to be exact.